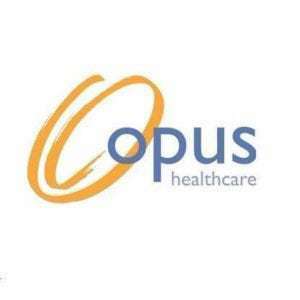 As of February 10, 2010, Opus Healthcare Solutions, Inc. was acquired by NextGen Healthcare Information Systems, Inc. Opus Healthcare Solutions, Inc. provides Web-based applications to hospital systems, physician group practices, and reference laboratories. Its solutions for nurses include ClinDoc, a clinical documentation system that facilitates point-of-care and electronic charting; OpusMACC, a medication administration checking and charting system that tracks and documents the correct use of medication at the point of care; and OpusOM, an order management that manages the flow of interdepartmental communication, including orders, results, charges, work orders, e-mails, patient education, and rounds reports. The company also offers OpusFoundation, a clinical dashboard that displays patient information and results in a single view; and OpusCDR, a clinical data repository that allows for the reposing of various clinical data in one centralized database. In addition, it offers solutions to physicians, including computerized provider order management solutions; OpusMD, a tool for physicians and providers that enables the immediate retrieval of patient information critical to timely diagnosis and treatment; OpusMobility that provides smartphone/PDA and wireless capabilities; and OpusEnterpriseEdition that allows the deployment of clinical software systems to meet the needs of healthcare organizations. Further, the company offers solutions to laboratories, including OpusLab, a tool to enhance laboratory performance by housing laboratory data in an order that allows for easy retrieval; OpusAP that provides solution for modern anatomic pathology laboratories; and laboratory data management solutions. The company has strategic alliances with Universal Health, Inc., hp invent, DELL, crystal partner, APOS systems, redhat, dagran, and intel. The company was founded in 1987 and is headquartered in Austin, Texas. Don’t let price confusion keep you from selecting the best software!